It is a neat looking tidy house, and not especially wintery in appearance, but the colour scheme is just perfect. 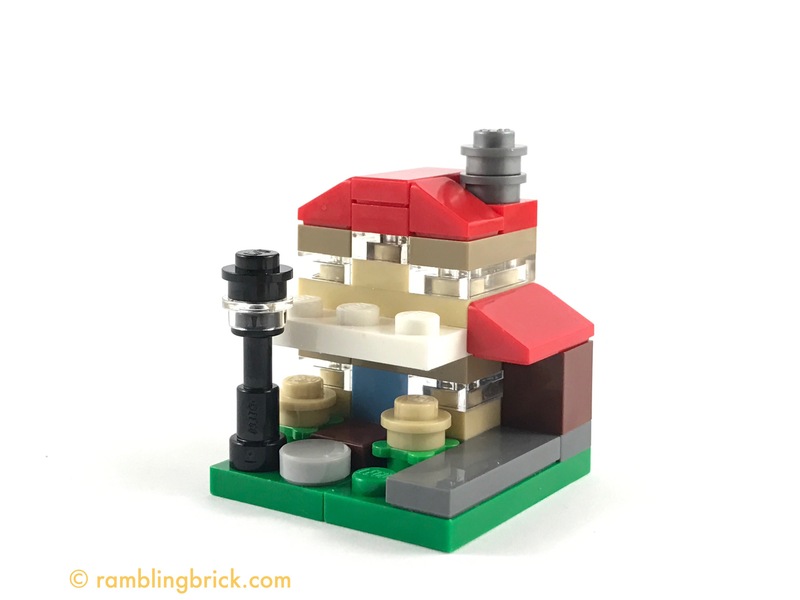 Another nifty mini build, this one packs a lot into just 35 small pieces. Addendum: the last step of this build is on the back page of the instruction book… I overlooked it. Now I present… house with lamp post.